The Superocean Heritage model from Breitling combines an ultra-sporty look with peerless performance, including water resistance up to 200m (660ft). Its sharp bronze bezel displays silver tone markings on top of a stainless steel case. 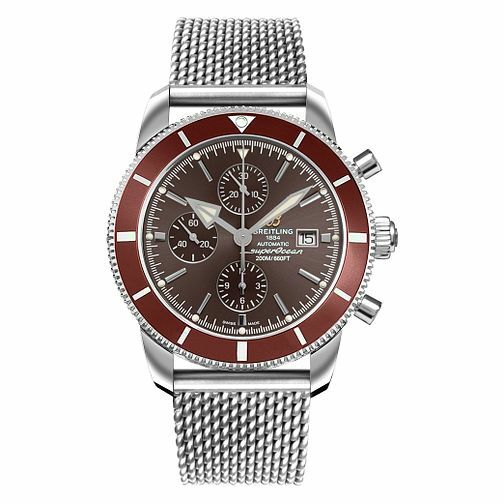 Finished with a stainless steel mesh bracelet, its chronometer-certified self-winding movement ensures outstanding precision.